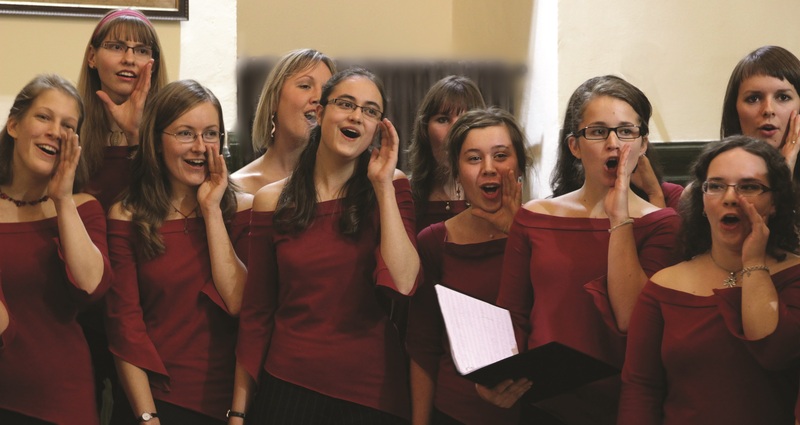 The music education system in the Czech Republic is similar to the systems in other European countries, and so is the way in which choirs are organised. This brief text offers basic information about the specifics of music schools in the Czech Republic and also offers information about organisations providing protection to non-professional and semi-professional choirs. Children devoted to music start by practicing very early on. There are elementary art schools in the Czech Republic, and the smallest students begin their studies at age four or five. They choose an instrument after one year, and in the best case scenario, they continue on it into adulthood. In this type of school, they study an instrument as well as music theory, and in better schools, there is the possibility of visiting with an orchestra or choir. There exist over 400 elementary music schools of varying levels. The schools are voluntary, so enrolment in them cannot be used to satisfy compulsory school attendance. Children only attend these schools in their free time. There exist state, private, and church schools. Only gifted children attend these schools, and they are paid to do so. This system has both a lot of advantages and disadvantages. Because of rather good donations by the state, the schools allow for one-on-one lessons. Talented children who pass the entrance exam have good private teachers. These children thus have perfect conditions for turning out very well, but some disadvantages also exist in this system. Because the elementary music schools are optional, there is a big rift between the children’s elementary music school education and the normal music lessons at their current schools. The normal school system offers little in the way of creativity or spontaneous musical activities for less gifted children. It is nonetheless true, on the other hand, that some children from good elementary music schools will be well-prepared for conservatory entrance exams. Conservatories represent the second level of music education in the Czech Republic. In order to pass an exam, one has to play an instrument very well. Conservatories are a part of the education system, so they may be used to satisfy compulsory school attendance requirements. Students undergo six years of study at the conservatories, and it is normal for students to begin their conservatory studies at age fifteen. Students take three lessons per week in their respective instruments and also take music history, music theory, and cultural history lessons. After four years, students are required to take the equivalent of an A-level exam, followed by two more years of study. There is currently a big debate about providing accreditation at conservatories in the same manner as schools with bachelor programs. These schools are currently ranked at the third educational level. This type of school is oriented towards practice, and conservatory graduates may play in professional orchestras or chamber ensembles, or continue with their own education. Because conservatory students tend to practice five or six hours every day, they are slightly lacking in compulsory education-based knowledge when they graduate, and this knowledge deficit has consequently led to some experimentation with music grammar schools. There is now quite a new type of school. Those authoring the project are striving to fuse the compulsory curriculum with high-level instrumental musicianship. Although properly keeping up with grammar school studies while practicing an instrument for five hours a day is difficult, students from these schools are quite well-prepared for the study of music history, musical science, musical pedagogy, etc. Some of these students also study at academies. There are currently thirteen conservatories and two grammar schools in the Czech Republic. After the A-level exam, it is possible to begin one’s studies at a university. It is important to point out that universities have autonomous status in the Czech Republic, so the A-level exam does not guarantee free entrance to a university. Candidates are also required to pass an entrance exam. There are three possibilities for studying music in the Czech Republic: First, it is possible to study musicology at a faculty of philosophy. This field of study focuses on music history, music theory, and musical science. The study program is of high quality, especially at Charles University in Prague. Secondly, there is the education faculty, with the music department focusing on music instructor education. This type of study is more practice-oriented, and there are many study subjects like psychology, music pedagogy, etc., but purely musical subjects also exist, of course. In the Czech Republic, one may study choral conducting at five of these institutions. The third possibility for studying music is at the Music Faculty of the Academy of Performing Arts in Prague and at the Leos Janacek Academy in Brno (JAMU). These are the only schools in the Czech Republic for educating professional soloists. These are state-accredited, university-type schools of very high quality. There are three levels of study with a music faculty: namely, the bachelor’s, master’s, and PhD programs. Students spend three hours a week studying an instrument (or voice, composition, conducting, etc. ), as well as chamber music, interpretation, and several theoretical disciplines. The aim of these schools is to work on real virtuosity. One can only study choral conducting at the Academy in Brno. In Prague, it is not possible to study choral conducting by itself, only as part of the study of orchestra conducting. There is also no choir at the Music Faculty of the Academy of Performing Arts. Schools are mostly public, but the Czech Republic has private and parochial schools, as well. In most cases, the public schools are of better quality than the private schools, but there are some exceptions among the private schools. How is the music education system compatible with the organisational system of amateur choirs? There are three types of choirs in the Czech Republic: professional, amateur, and (a somewhat problematic kind with regard to their scope) semi-professional. Because of the economic crisis and problematic cultural politics in the Czech Republic, the number of professional choirs is going down. There are choirs for music theatres and opera halls, as well as some concert choirs, but the life of a professional choral singer is currently quite difficult. This situation makes it quite problematic for professional choirs to maintain their (historically very high) quality. Some of them have transformed themselves into semi-professional choirs. This consequently means that singers are paid to sing but also have other jobs ( for example, teaching music and the like). It is very difficult to organise this type of choir, but paradoxically, this can also help their quality. The choir can have fewer contracts for concerts and can better prepare for their performances. Of course, the Czech Republic’s need for professional choirs, coupled with a lack of money for cultural pursuits, is posing a threat to their existence. Amateur singing has a long tradition in the Czech Republic and is still very much alive. At present, there are 1,102 registered choirs on the Czech Choirs Association web page. (There are eleven million people currently living in the Czech Republic). Some of the choirs are of very high quality and are sometimes very well organised, too, but it is a very positive sign that there still exist very free ‘singing clubs’, with no organisational structure or professional leadership, as well as concerts that also include ‘friends of music’. These very amateur singers have meetings (not rehearsals), and they sing for their own enjoyment. They make up one of the bases for better amateur choirs. 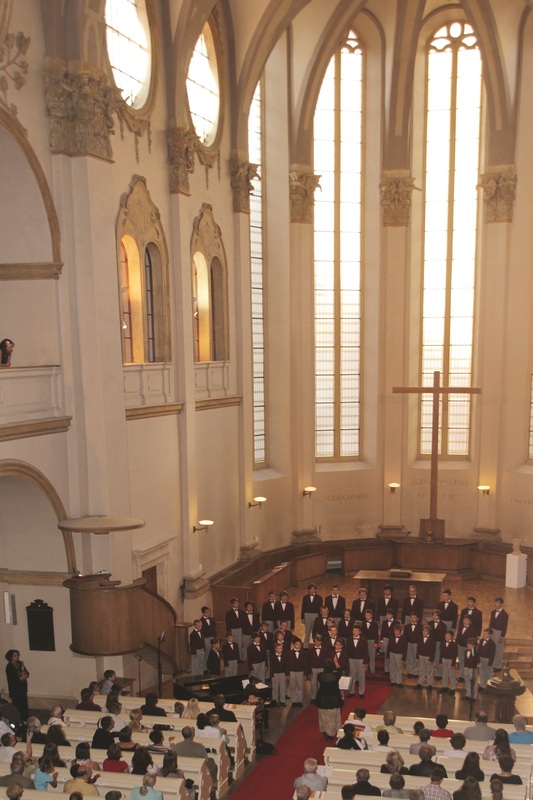 Classical amateur choirs are based in all types of schools. Choirs for children exist at some primary and secondary schools (depending on the focus of the school and the director, as well as the ability and enthusiasm of the music teacher) and at elementary art schools. Older children normally stay in bigger choirs at elementary art schools (with branches) until their teenage years. Some children’s choirs can only be attended by children until age eighteen, because this is the cut-off age for state donations to elementary art schools. This is unfortunate, because a lot of good, well-experienced singers eventually leave the music world, and the quality of youth choirs is much lower than that of the children’s choirs. Some school choirs exist for young people, especially at grammar schools. Some of them are quite good, but in general, children’s choirs are better in quality and also better organised. Choirs at conservatories are perceived to be a big problem, because singing in a choir is a compulsory subject not only for students of singing but also for instrumental students. Because of the focus of conservatories as schools for soloists, choirs are very unpopular Singers would like to sing big opera arias, and instrumentalists have no interest in vocal music. Due to this situation, the quality of conservatory choirs is not very good, and unfortunately this trend continues to exist up to the academy level. A better situation can be found at universities. With the exception of the education faculties, of course, the choirs are for students of subjects other than music, but some of the choirs do have top-notch singing. Some universities support their choirs, and some do not. Paradoxically, one of the best-supported choirs is the ‘Musica Oeconomica Pragensis’ from the University of Economics in Prague. Universities are willing to employ professional choirmasters, and this makes university choirs capable of becoming very good. During the second half of the twentieth century, the Czech Republic was one of the Soviet bloc nations, and this interrupted the long tradition of church choirs. After the Velvet Revolution (in 1989), churches began to increase. Although Roman Catholic and Protestant churches are active in the Czech Republic, the country is among the most atheistic in Europe. For this reason, the church music situation is not very good. In most cases, one can find church choirs with four sopranos, twelve altos, no tenors and two basses around age sixty. Despite this situation, there are some good Roman Catholic choirs, but they generally do not compare with the non-church choirs. There are choirs that sing in other types of organisations, as well. For example, there are some corporate or recreational center choirs, but these are few. Society in the Czech Republic is more focused on economics than choral singing, so there are currently few people founding choirs. Consequently, the best way to establish a new choir (especially an adult choir) is to find singers and register oneself as a community organisation. This is very easy to do and also affords artistic freedom for oneself. Money is certainly an issue, however, so it is necessary to find sponsorship for the choir, have paid concerts, or have the singers pay a certain amount toward the organisational structure of the choir. It is certainly true that finding money for concerts, professional soloists, a cooperating orchestra, and the like is very, very difficult in the Czech Republic, but most of the best choirs in the Czech Republic are organised in this way. As stated above, the last type of choir is the ‘singing clubs’. 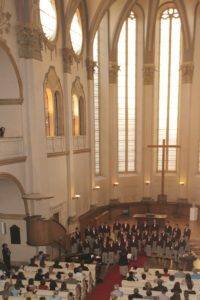 Without any organisation, professional conductors, or money, the choral music that they create may turn out better or worse. They are very important to the musical life of the Czech Republic, however, because they provide potential singers for better choirs and also make up the bulk of the audience at classical music concerts. As also stated above, it is possible to study choral conducting at JAMU or at the five Faculties of Education. Choral conductors may have other professions, too. School choirs are led (for better or worse) by music teachers, church choir conductors (according to tradition) are organists, orchestra conductors lead some choirs, and sometimes singers are also found in choral director positions. Some of these people are actually very good conductors. It is true, however, that some well-needed ability is lacking in all these professions, and sometimes choirs led by such people do not sing at their very best. Czech amateur choirs may be registered with the Czech Choirs Association. This is an organisation which organises some choir festivals, informs choirs about concert possibilities, is capable of supporting recordings and festivals, publishes a choir magazine, etc. It is important to point out, however, that the Czech Choirs Association suffers from a major lack of funds. The Ministry of Culture cannot provide much support to the Association. Consequently, the people working for the Association cannot be employed by it, and most of them also work for choirs in their free time. The current director of the Association is a lawyer, in fact. Thus choirs work more separately, but being a member of the Association is a major advantage. There is a contractual relationship between the Association and the OSA (an organisation related to legal authorship matters), and registered choirs are free from paying royalties for performances of pieces by living composers at non-profit concerts. 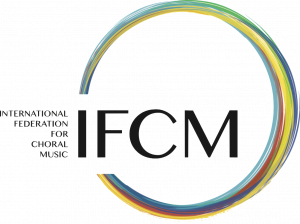 This is a big help to choirs with a focus on contemporary music. In conclusion, the Czech choral world has a lot of problems, especially in the area of financial support. But because of its long tradition and great enthusiasm the Czech Republic has many choirs. The quality of the choirs depends on the quality of the conductor, the choir members, the organisation, the choice of repertoire, and the motivation of the singers and conductors – not very different from choirs in other countries. In general, the situation is more positive for amateur choirs than for professional choirs.